Today, after a very fruitful collaboration with a talented team of volunteers, I launched the newly redesigned website for Slow Food DC, which is the Washington, DC metropolitan area chapter of Slow Food. It’s mission is very worthwhile, “Supporting Good, Clean, and Fair Food”, and I was delighted to assist them. I got involved with this project after an old friend of mine, Alexandra Greeley, suggested my services to the chair woman of Slow Food DC, Kati Gimes. Before you know it, I was consulting with a group of young dedicated volunteers, many of whom have done wonderful work in website redesign or social media management for other DC-based non-profits, themselves. During our meetings, we discussed the content strategy, the target audiences, the information architecture, and the technological platform. A young Photoshop aficionado took upon herself to design the banner incorporating the new Slow Food DC logo. The site uses the new WordPress theme twentyone which is extremely powerful. It utilizes plug-ins for Google Analytics, Twitter and RSS feeds. It truly is a marvelous content management system which will burden of needing a webmaster any time a new content update is needed. Congratulations, Slow Food DC! Cheers! Spend your time innovating, not replicating with the CSS Blueprint framework. Nickolai has outdone himself once again. This silent hero who introduced me to Dreamweaver way back in 1998 and has labored steadfastly on translating Baha’u’llah’s Writings into Bulgarian and establishing the first Baha’i website in Bulgarian has launched a beautiful new Bulgarian Baha’i website! The content is based on “The Baha’is” publication and seems to be built on the Joomla content management system. That should free the hands of the small but enthusiastic Baha’i community of Bulgaria to do what it does the best — sharing with its compatriots the healing message of Baha’u’llah! I just installed the new Firefox 3.0 and it is indeed very fast. I still need to get used to the changes but this is nothing new when you use new software. What I am more excited is that the website which has been for a long time my homepage, BahaiPrayers.org, has been redesigned in a most beautiful — and standard-compliant — way. It is truly a joy to look at, not just to read it, and I highly recommend it to anyone whose eyes, or soul, are sorely desperate for spiritual beauty! P.S. I just installed a new WordPress theme as well. Let’s see if this will motivate me to blog more. HAIFA, Israel — The Bahá’í World News Service has launched a new Web site that includes an expanded home page and a section designed to meet the needs of journalists. The address remains the same – www.news.bahai.org. The section for media representatives includes brief descriptions of the Bahá’í Faith and its beliefs and history; a list of Houses of Worship; a style guide with spellings and definitions of names and terms; photos for downloading; and contact information. All the pages for BWNS news, features, photos, slide shows, and video have been redesigned. The makeover is the first stage in a plan to redo all the sections on www.bahai.org, the international Web site of the Bahá’í Faith. The new home page for that site also appears today. Also, nine countries have been added to a page that provides links to Web sites and contact information for many of the national Bahá’í communities around the world. The goal is to have a link for every country. 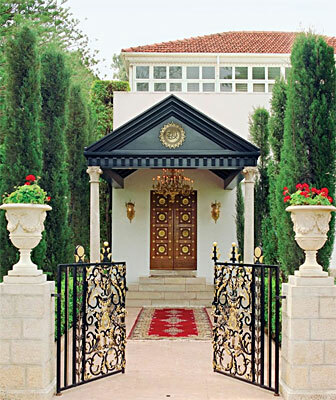 All the Web sites are maintained by the Bahá’í International Community’s Office of Public Information at the Bahá’í World Centre in Haifa. Job well done to the Office of Public Information Internet team! The Baha’i World Center has launched a new website dedicated to the life of Baha’u’llah, the Prophet-Founder of the Baha’i Faith. I am grateful for having had the honor of playing a tiny role in this project — mainly by assisting the very capable web team of the Baha’i International Community with the website’s search engine optimization — and humbled by the beautiful work the whole team has put together. 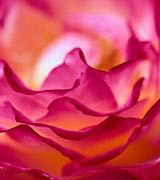 What is unique about this site is that it presents in a very artistic yet search engine friendly way a rich photographic journey through the life of the most current messenger of God, and offers to the viewers a wealth of images of artifacts and writings of Baha’u’llah. Great job to Brian Kurzius and the whole team, and my deep gratitude for having been allowed to play a small part in this exciting project.